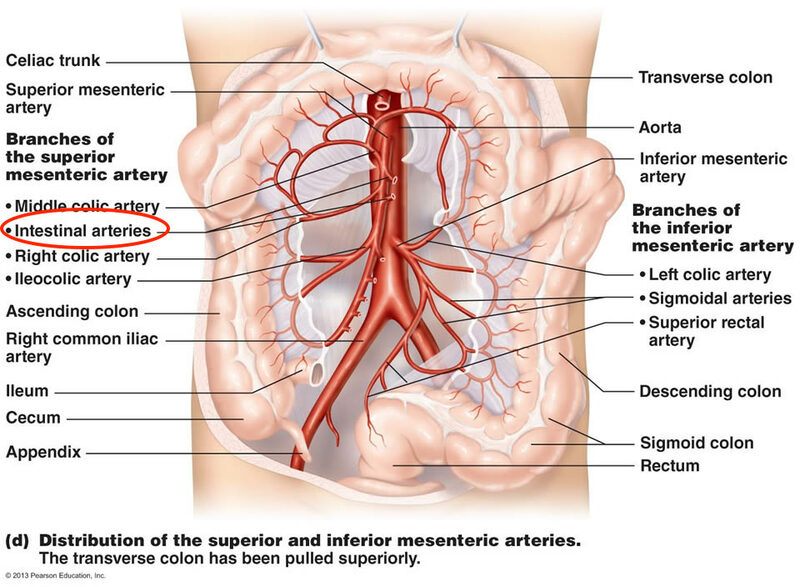 The intestinal arteries arise from the convex side of the superior mesenteric artery. There are usually 12-15 of these arteries and they are distributed between the jejunum and ileum. These arteries provide the jejunum and ileum with blood.